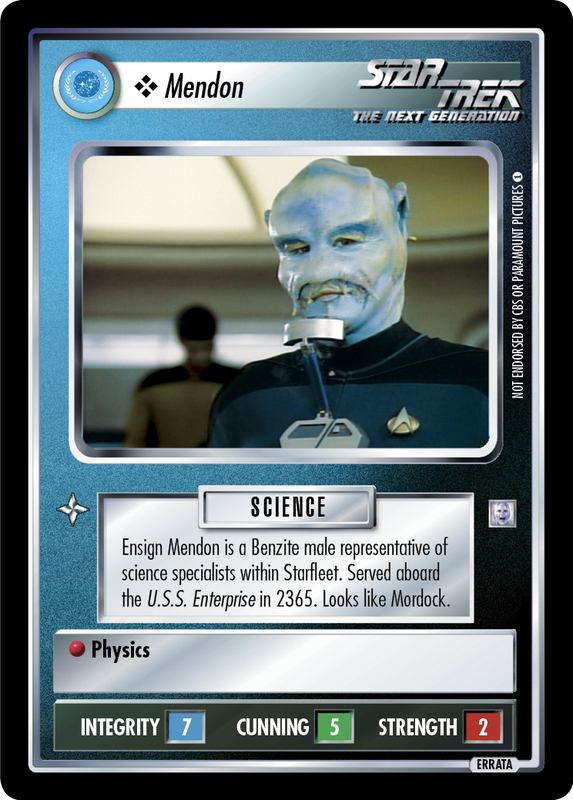 Ensign Mendon is a Benzite male representative of science specialists within Starfleet. Served aboard the U.S.S. Enterprise in 2365. Looks like Mordock.